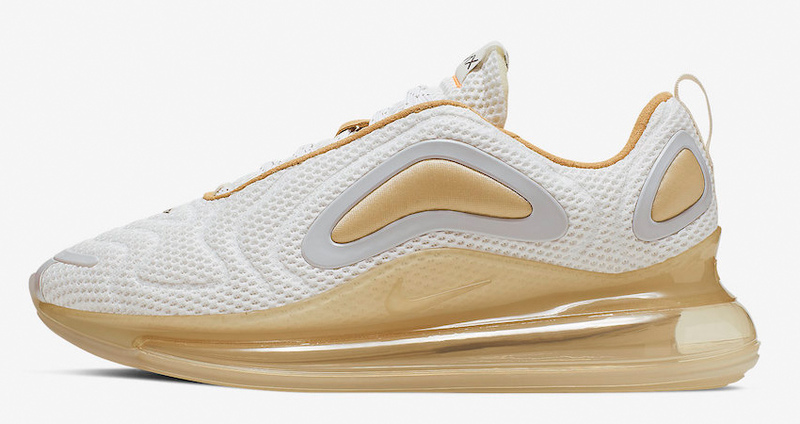 A New Nike Air Max 720 Coming In A “Pale Vanilla” Look for this Spring/Summer days, and you are gonna love it! It’s perfect for any mood because of the sugary and hot cuppa vibes. The creamy brown accents and frost white upper show off a gorgeous Spring-esque theme. So far we have seen many colourways for this new range of fighters, the 720s. The transition hues and monochromes are all still going strong. This particular theme is named Pale Vanilla because of the cream and froth aesthetics. The style range is still quite young and fresh in the sneaker game. But it has already taken over the fashion streets for its outstanding quality and features. The Swoosh bros and the Air Max technology took a big leap to the future by designing this marvellous silo! Now it’s your time to step into the futuristic era. Let’s not forget that the AM racks are always the ones who got your back. The stretchy mesh or nylon upper and the supportive plastic panels make the most excellent team to support all your strides and stunts. The massive Air blob spreading wings on the midsole adds more reliability to the construction. Follow @FastSoleUK for more. Take a wild guess and say how you think it can affect your everyday life. Surely the creamy and sugary tasteful colour palette can match every outfit that you own. Besides, the crisp white flexible mesh upper body allows maximum airflow and comfort for you no matter how hot the day is. Its bold attitude and sassy vibes will stun everyone on the streets! 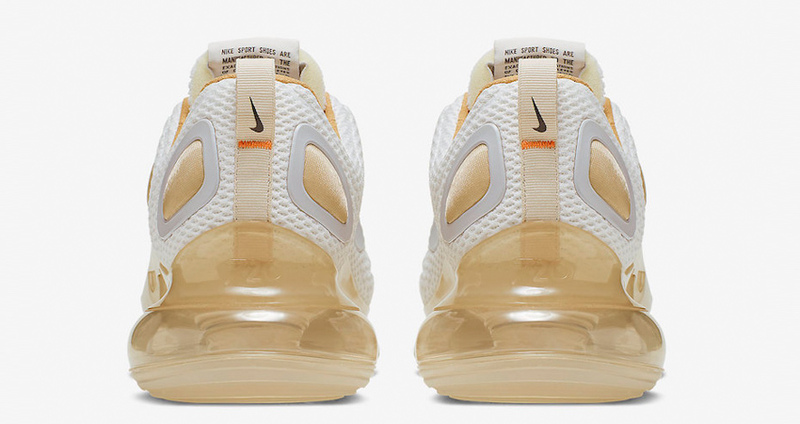 Caramel on the synthetic panels, piping, inner lining, brandings, and the full-length Air bubble finish the look. 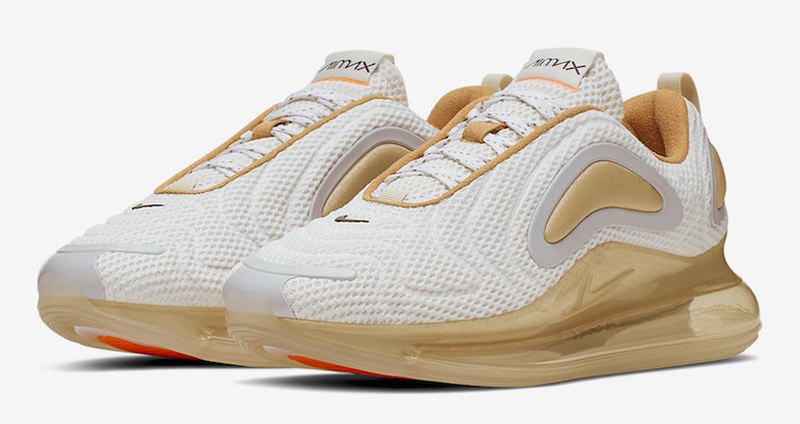 Nike Air Max 720 Pale Vanilla releases soon via listed UK and European retaielrs.